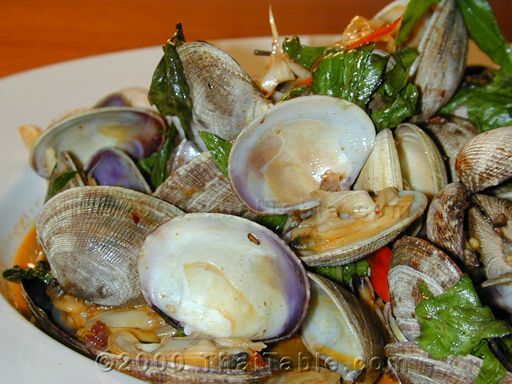 The success of this dish is in the freshness of the clams. 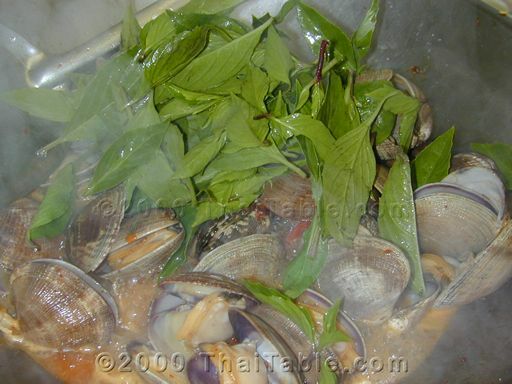 After the clams are cooked, discard the unopened ones. Curiosity kills the cat, I have found some to be full of mud! 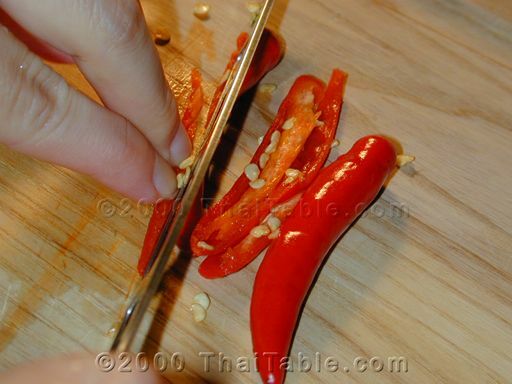 Slice the chili pepper lengthwise into thin strips. You can also substitute red bell pepper or other sweet peppers, if you don't like it hot. 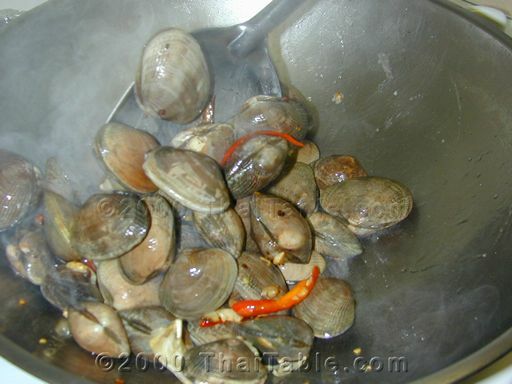 Rinse and scrub (if needed) the clams and let them drain. 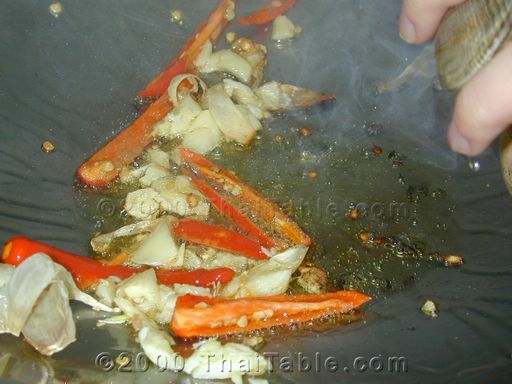 Add a tablespoon of oil to a wok over high heat. Add garlic and chili pepper. 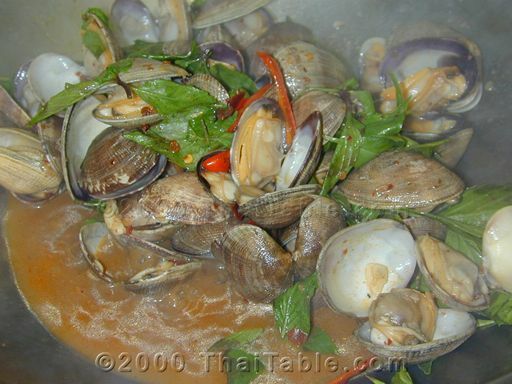 Immediately add clams and stir. The clam juice will start to come out. Stir until all the clams open. 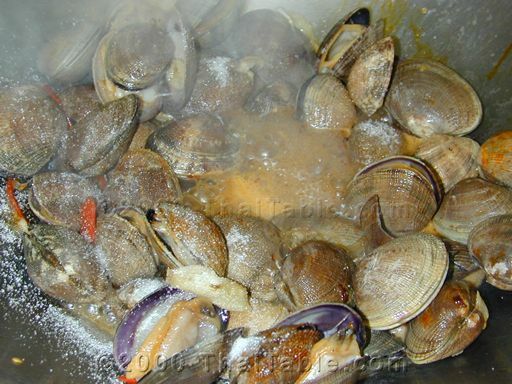 The clams I use open after 4 minutes of high heat. 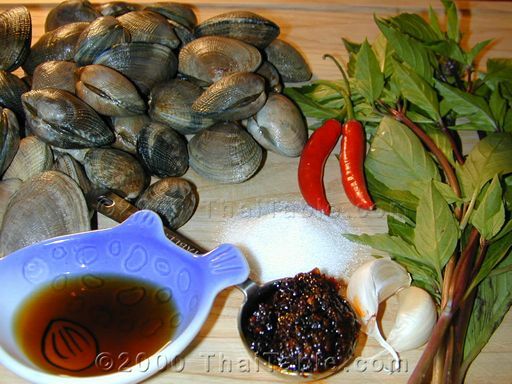 Add fish sauce, nam prig pow and sugar and stir to mix the seasonings in. Add Thai basil. Stir and quickly remove from heat. Serve hot with rice.